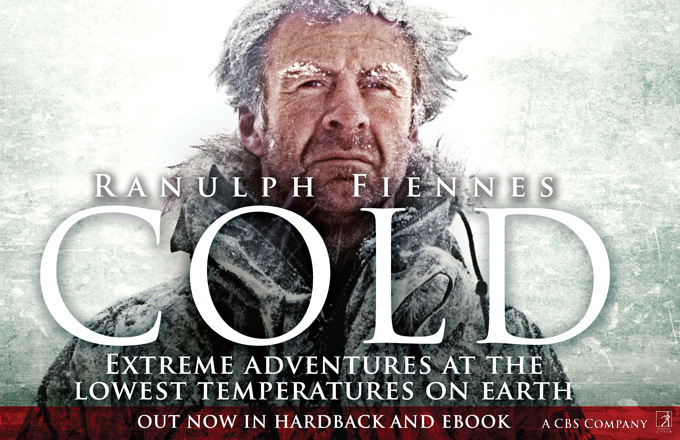 Win a signed copy of Sir Ranulph Fiennes’s latest book, Cold. To enter, all you need to do is send an email with the subject line “Cold” to TGExpedition@aol.com. A name will be drawn out of a hat (or equivalent random selection process!) later this month and the book will be posted to the lucky winner. By entering the draw your email address will be added to our subscribers list, and you will receive exclusive updates on The Coldest Journey developments, including news on the documentary film, the long-awaited results of the many science projects and other events involving team members. If you do not wish to be sent these updates, you can request to unsubscribe at any time by email.